When I was in high school, I always looked at the aspiring musicians in my school (some got quite far with their aspirations too) as if they were some sort of mystics. They always had this sense of being untouchable, impossible to understand around them. That feeling disappeared over time, as I kept in touch with some of them, and it turned out that they were just moving into the same musical areas where I ended up (albeit I started as a listener and became a player only much later). End of 2014, in the chatroom of House of Prog, I ran into Hamlet, the man behind Transport Aerian, and that old feeling returned. This man seemed to be very intelligent, open for communication, but also somehow distant, almost unapproachable. Now, half a year later, I know that the latter is not true, Hamlet is indeed intelligent, but certainly open for communications. However, unlike my old school mates, he is much less moving into the mainstream (or mainstream prog) direction than many others. When I started reviewing his new album Darkblue, I was thinking of writing a double review for that album and the live album Love.Blood.Live, which preceded it last year. 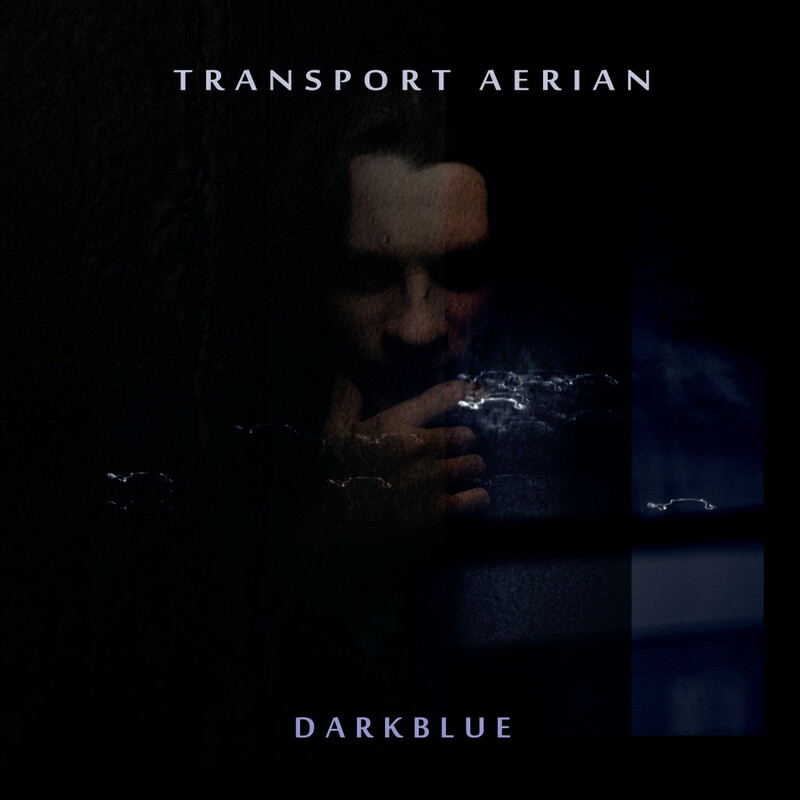 That wouldn’t do justice to Darkblue however, because this is vastly different from Transport Aerian’s earlier work. Where, as Hamlet wrote in his blog himself, Bleeding (studio album) and Love.Blood.Live are more song oriented, Darkblue is a surrealistic movie expressed in music and the visuals of the accompanying artwork. To that will, as plans are being announced now, the visuals of a live performance will be added later. This album for sure is what the title suggest, dark, but not pitch black (although Jim Morrison’s work with The Doors is almost white compared to this). The music is haunting and minimalistic (Sand Horizon), experimental at times (Black), leaning towards industrial in places (Full Body Access, ), while building almost psychedelic soundscapes in others (Epitaph) – and then there is something close to hard rock or metal as well (Crossbreed). The lyrics, spoken and sung by Hamlet and his accomplice for this album Rachel Bauer (also responsible for the mystic photos in the album booklet) tell a story of, in Hamlets own words ‘exile, self-isolation and love’ – in a dialog between two people. As explained on the Transport Aerian blog, this “is the one-piece musical diary that tells the surreal love story, which is being recited throughout the album’s temporal and spatial space from the face of two main characters”. A concept that makes it nearly impossible to do a track by track review. In all honesty, I see no point in listening to individual tracks anyway – this is indeed a single piece of music. Thus, I’ll hold back on that and just recommend anyone who’s in for something non-conformist, experimental and as true to art as art can be, to give this album a try and experience for themselves what Hamlet felt when writing this music, and what Rachel Bauer and him made out of that when recording. I really hope I’ll be able to catch a live performance of this album, if only to see if my own visualisations match those of the artists. Hamlet announced working on the scenario for a live performance as I write this, so perhaps see you there, dear reader? This entry was posted in Album review, Angelo's Rock Orphanage, Music by Angelo Hulshout. Bookmark the permalink.